The i.e. Fitness group classes are built for your long-term fitness success. Workouts are not thrown together for you to get through at break-neck speed. Instead, each workout is meticulously planned out by i.e. 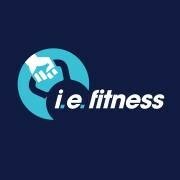 Fitness’ experienced and knowledgeable trainers that will help you lose weight, build muscle and increase your stamina. You can expect basic, intermediate and advanced bodyweight, strength and cardio endurance exercises that challenge you on a daily basis while allowing you to work at your own pace. Each workout will take place in a fun and relaxed environment with our positive and encouraging trainers who want to ensure your long-term fitness success.